Astell & Kern has just released a limited edition version of its high-end AK240 music player, featuring a stainless steel build and improved sound output. Astell & Kern has just made its most premium music player that slightly bit better. The audio electronics company has released a limited edition version of its acclaimed AK240 music player. It now comes with a stainless steel exterior, which gives it a more luxurious feel and look. Not only that, but Astell & Kern claims the metal build also improves the sound output. "By offering more ground points, the AK240 Stainless Steel edition eliminates more electrical 'noise', meaning a purer audio experience," said the manufacturer. There's a beautiful 3.31-inch AMOLED touchscreen to play on and Bluetooth build in, so it's compatible with wireless headphones. In terms of functionality, the player remains unchanged. It still uses a dual 24-bit/192kHz DAC design and there's extensive file support, including native DSD playback. You'll find 256GB of memory on board, and you can add more with a microSD card (up to 128GB). You do get a fancy new leather case from Tanniere Rémy Carriat, however. It will cost you a pretty penny though. 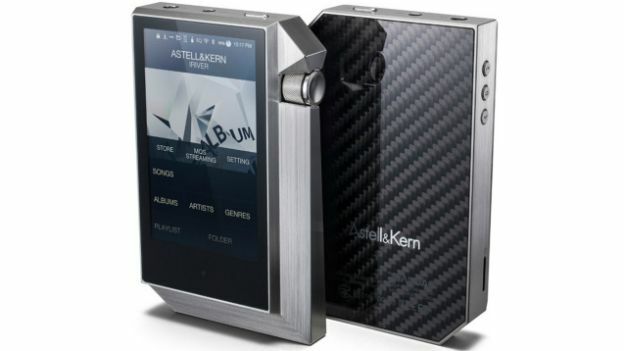 The limited edition AK240 will be available through astellnkern.com in the coming weeks for £2500. If you're struggling to find the music player for you, then check our Best MP3 Players round-up.